Repsol Honda pulled off the biggest upset of the 2018 MotoGP silly season by reaching an agreement with Jorge Lorenzo, just before his breakthrough debut Ducati victory. Prior to the discreet Honda talks, the triple MotoGP champion had so few options that he feared being forced into retirement. Lorenzo had finished 2017 full of optimism for his Ducati future, frequently leading races and being close to victory on several occasions. The Spaniard was then fastest in the opening 2018 test, but was left on the ropes next time at Buriram, when he struggled with the modifications made for the GP18, such as the lower fuel tank. After a distant sixth for Lorenzo at Le Mans, where Danilo Petrucci put Ducati on the podium, the factory made clear they would not try to force a relationship to continue if it wasn't working for either party. "If this chemistry doesn’t start to work at the level we expect, which is fighting for race wins, fighting for podiums, then I don’t think it’s a good idea to continue,” said sporting director Paolo Ciabatti. "I think on the other side even Jorge isn’t happy to continue if he still keeps struggling and is not able to fight for race wins. Against that backdrop, the only known alternative for Lorenzo prior to Mugello seemed a seat with the yet-to-be-formed Sepang satellite Yamaha team. At that stage, no-one thought the Spaniard would knock on Honda's door, forming an eventual dream team alongside reigning champion Marc Marquez. According to some Honda team members, it wasn't a case of Lorenzo cold-calling HRC - he already knew some of the senior management from contract talks in previous years. 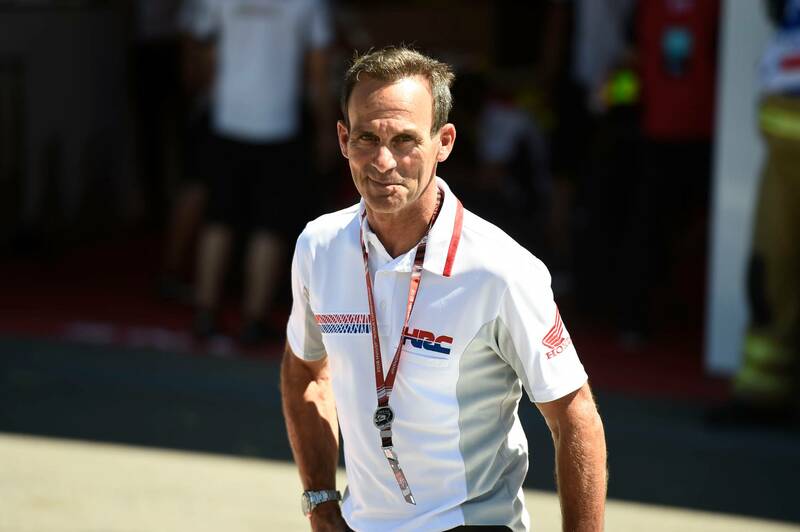 For Puig, who had only been in the job of Repsol Honda team manager for six months, it was a surprise opportunity not to be missed. "Well, for around I would say two months [Lorenzo] didn't really have a real place to go. So when we looked at the situation, we saw he was free and so we decided to go for it," Puig said. "I was a little bit surprised he didn’t have a real chance to stay with someone else. But, frankly speaking, I didn’t ask why. We just tried to understand at that time if it was possible. It was, so we went ahead." Ducati's reluctance to re-sign Lorenzo is hard to imagine now but it's worth underlining that, prior to Mugello, Lorenzo was 14th in the world championship (16 points from five races) and behind fellow Desmosedici riders Petrucci, Jack Miller, Andrea Dovizioso and Tito Rabat. Fifth in the standings but earning a fraction of Lorenzo's wage, Petrucci was clearly in pole position for Lorenzo's factory seat alongside Dovizioso in 2019, a move duly confirmed once Honda announced Lorenzo. Click Below for Page 2.